Chip Evans, whose practice includes representation of those harmed in motor vehicle accidents, reminds drivers that following some simple safety tips can save lives – including their own. Of course, accidents happen, and it’s impossible to prevent them all, but there are some simple things that every driver can do to help reduce the risk and end the streak of daily deaths. Leading Central Texas personal injury lawyer Chip Evans is concerned about the Lone Star State’s alarming trend having of at least one traffic fatality on Texas roads every day for the last 15 years straight. Traffic fatalities, injuries and costs are up nationwide. The National Safety Council reports that nearly 19,000 people were killed in car wrecks between January and June last year, which was a 14 percent increase over the same period in 2014. The first half of 2015 also saw a 30 percent increase in serious injuries and a 24 percent increase in costs from crashes. KXAN-TV in Austin reports a new record for motor vehicle fatalities in that city. Chip Evans has spent almost two decades protecting the interests of injury and accident victims. 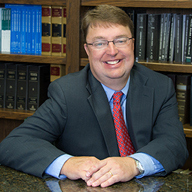 He is the owner and lead lawyer at The Evans Law Firm, which has several convenient locations across Texas, including Austin, San Antonio, Dallas, and Houston. Known for personalized legal assistance, the firm aims to make each client feel that their case is a priority. For more information or to get help with a potential claim, call 1-855-414-1012.